You've seen Lorys on several blogs and I'm sure you've gotten a jar or two because of their raves but for those who has yet to know about it, Lorys is a Deep Moisturizing Hair Cream that comes in several variants: Shea Butter, Snake Oil, Fruit Cocktail, Nutri-Sun Gloss and Duo Chocolate. It's a hair care product that aims to give healthy looking hair. It comes in this huge 1000 grams jar that you would think belong in a salon. It's a good thing these come in 450g as well, for those who have limited bathroom space. I've been subjecting my hair to a lot of chemical treatments for the past say, 8 years. I had my hair chemically straightened in Laong Laan, Manila, Rebonded in Bulacan, Marikina and recently Makati, I had it colored in MOA, Manda, Makati and even at my home in Pasig. I've had several hair mishaps in my 28 years that I already know what it needs and what it doesn't. But one thing that sticks with me is that I hardly use conditioner anymore!! Now don't go on condemning me for not taking care of my hair... I haven't told you the whole story yet. The truth is, I have changed my regular conditioner to a deep conditioners just because I think it makes more sense that my very much chemically-treated dry hair needed more than just a regular conditioner. And given the fact that I wash my hair everyday, I really need to give it more than just the regualr shapooing and conditioning. 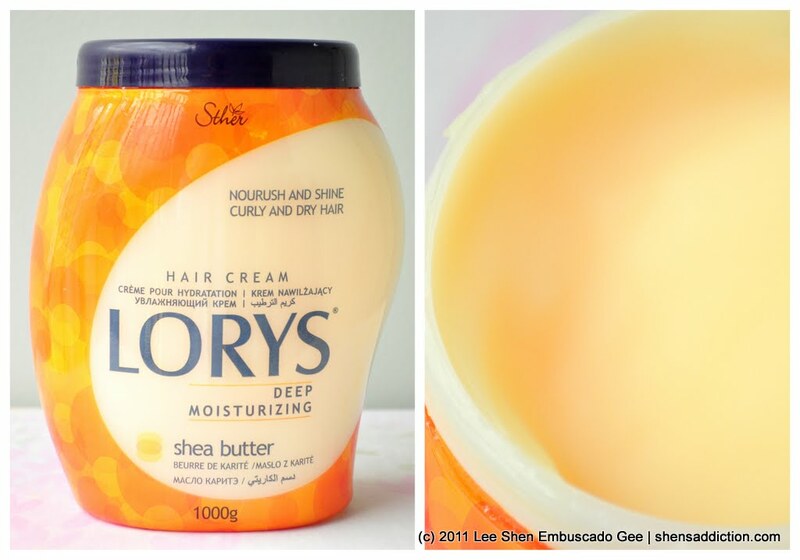 That's why I think this big ol' jar of 1000g Lorys Deep Moisturizing Hair Cream is exactly what I need. And I wouldn't mind have 3 huge jars of it. I'm glad that Lorys lives up to its name. I have tried the Shea Butter, Fruit Cocktail and Snake Oil variants and they have all impressed me. Having replaced my regular conditioner with Lorys, I notice that my hair is a lot softer. 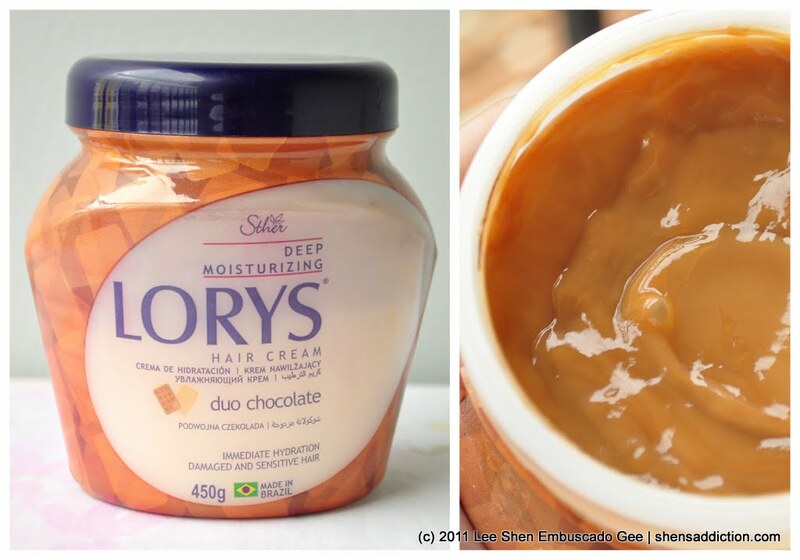 After shampoo, I remove the excess water from my hair and apply liberal amount of Lorys all over my hair. Then I massage my hair from roots to tips for about 30 seconds and concentrate on the tips. I, then, cover my hair with a shower cap and let it set for about 5 to 10 minutes or until I'm done washing or scrubbing the rest of my body. Rinse your hair as you normally would. I've tried this even if my hair is rebonded and it gave my hair a nice body/volume. 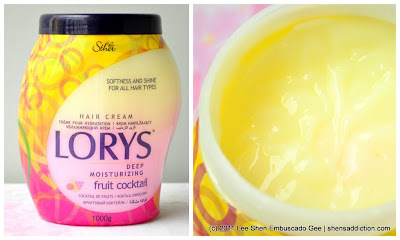 Fruit Cocktail is Lorys' best seller and I'm not surprised since this has the best scent. The fruity scent wakes me up in the morning. 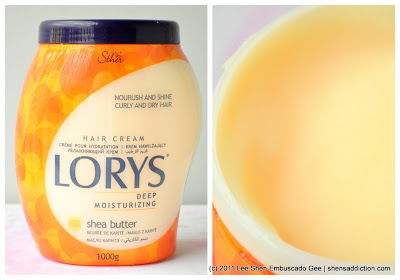 The softness and shine is also immediate but you need to use this longer to see major results. 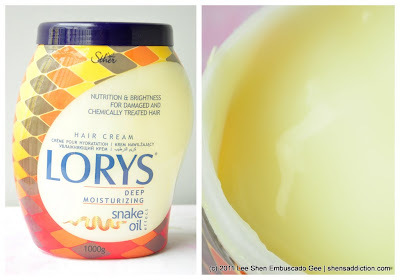 Snake Oil give my hair the shine it needs. To see really good results, you must use this everyday in tandem with deep conditioning. 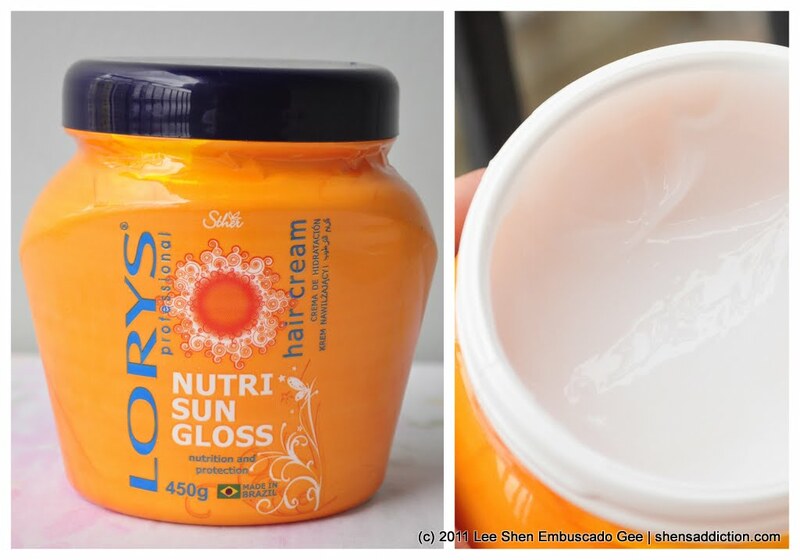 Nutri-Gloss is for those whose hair is constantly exposed to sun like sports buff. I knew that my hair was as its best when my friends noticed that my hair was looking nicer than usual. They said it looked straighter and shinier. The BF also said that my hair smelled nicer like I just a salon treatment. And even after a really bad day of going around the metro, my hair looks a lot better than it normally does. If you really have severe dry hair, continuously use deep conditioning hair cream, like Lorys, 3x a week for two to three months. Wrap your hair in a cellophance (cling wrap) and leave it on for one to two hours. You'll notice a great improvement with your hair. It'll be a lot softer and healthier. I usually watch a movie, read a book or clean the bathroom whenever I do deep conditioning. I double wrap my hair with a shower cap. My hair immediately feels softer and lighter whenever I do this. When Sophie tells me that we are lucky to be living in an age that gives us a lot of choices in beauty, I can only agree. I watched and read several stories on how women in the olden days had to wait week, months and even years for technologies that we now have at our fingertips. I really consider this as a blessing. Don't you? Hi Shen! :) How much would a 450g jar cost? a 1000g jar? I am inlove with them! They are 40 pesos cheaper in Landmark. =) It made my hair looked rebonded even though I never had it treated. I have the one in shea butter, it's awesome! Great blog, I'm your newest follower!